Building an ongoing and lasting relationship with your customer base is critical. Much of that relationship hinges on trust. The more that a customer trusts your business; the more likely they are to be repeat customers and to refer your business to others. 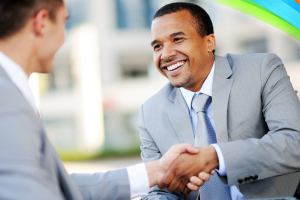 Building trust occurs during the course of doing business. The challenge is to keep your customer base engaged so that you can build trust into the relationship. Certain business principles are fundamental to building trust. You must do what you say that you will do — from delivering products or services on time, to providing excellent customer service and support. You must honor the terms of your service agreements, warranties or contracts. However, another way to build trust is by honoring your customers’ preferences through permission-based marketing. Preferences are a key element in permission-based marketing, and from what many experts say, that’s the direction that marketing is headed. So how do you find out your customers’ preferences? Of course, you need a technology solution to capture, track and maintain these preferences and to easily allow the customer to update or change their preferences. This can be done through a persistent preference center deployed everywhere you interact with your customers. These touch points can include mobile devices and social media fan pages as well as your corporate web site. 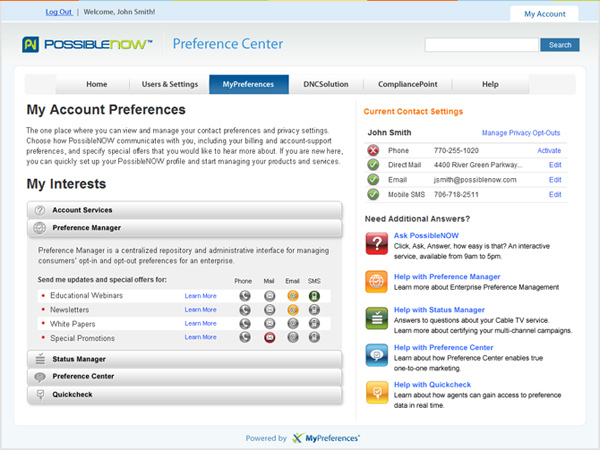 With preference management, you put the customer in control. You can allow the customer to select the desired communication channel such as phone, text message or email. You might allow them to choose the content that they wish to receive so that your messages to them are relevant. Preferences can also relate to account servicing. By honoring your customers’ preferences, you help build trust into the relationship and in turn earn your customers’ loyalty. How do you build trust into your customer relationships? Share your thoughts and ideas!